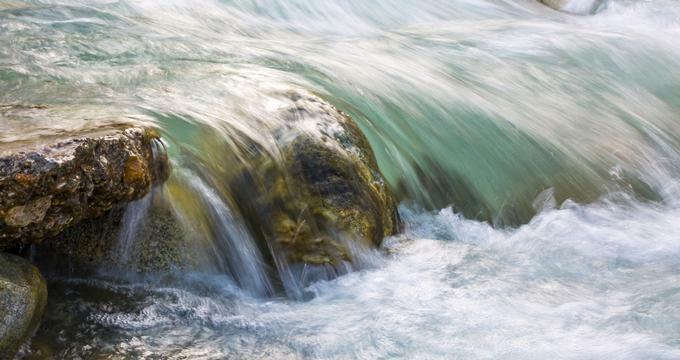 Waterfalls do not come to mind when you think of Nevada, but this desert state has a surprising number of wonderful falls. Today, the city is a popular launch point for visitors looking to explore Denali National Park and climb its highest peak, the 20,310-foot Denali mountain, the tallest mountain in North America. Located within the Municipality of Anchorage, Eagle River is approximately an hour away from the state’s most populous city. From towering glaciers to cultural attractions which delve into the culture of the native Tlingit people, the city of Hoonah has it all. 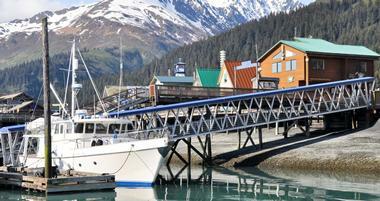 Whittier is one of the most beautiful cities in Alaska and there is so much to see and do while there. 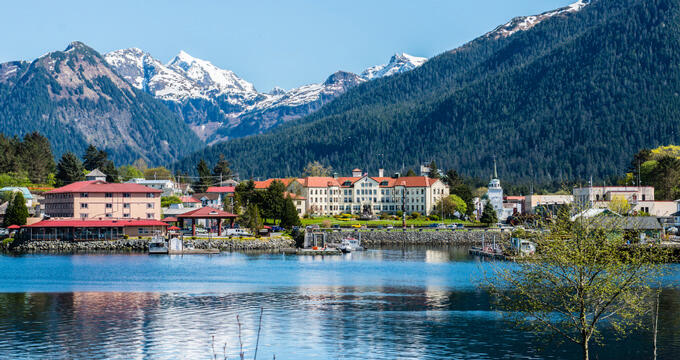 Often a popular stop with many Alaskan cruises, the city of Sitka has such a rich culture and history which visitors from all over the world will enjoy. 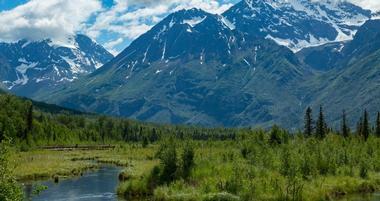 Located within the Kenai Peninsula Borough, the city of Kenai is named after the native Dena’ina word for “flat meadow”. 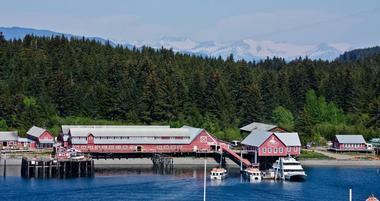 Wrangell is one of those places that are filled with so much natural beauty and panoramic landscapes that you’ll wonder why the quaint city isn’t overrun with tourists. Whether you’re in the mood to kayak through a valley of glaciers or you’d rather have a fine dining experience of fresh Alaskan seafood, the tourist town of Girdwood is one of the best places to do it from. 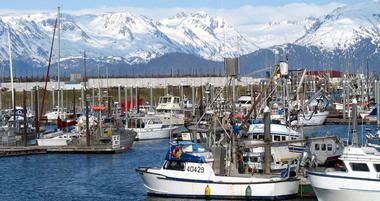 One of the most scenic cities on Kachemak Bay, Homer offers a wealth of things to see and do. Everybody with kids in school knows how important the holidays are for spending quality time together. Pick the right getaway that will allow you to bond with your kids, explore new places and perhaps even relax. Ideas include short adventure trips, city getaways and beach resorts. Our list of unique trip ideas includes beach and mountain getaways, surfing, high-speed boat rides, helicopter tours and beautiful lodges in some of the most scenic spots around the world. Whether you are looking for warm-weather trips or winter getaways, there is something for everyone. When the snow blankets most of the U.S. in the winter, head to Hawaii and New Zealand for some fun warm-weather adventures. New Zealand: Relax with spectacular views of New Zealand's Southern Alps at Grasmere Lodge, an intimate hideaway with just 11 guest rooms. Have picnics overlooking the scenic mountain lake, lounge next to the heated outdoor pool and go on awesome hiking trips in the area. Tours, canoeing, fly fishing and bird watching are included in the cost of your stay at Grasmere Lodge, giving you a chance to try a little bit of everything. Shotover Jet provides high-speed boat rides down a scenic river, through spectacular canyons near Queenstown, New Zealand. If you can't keep your eyes open during this thrilling ride, don't worry. The boat stops to give you a chance to admire scenic spots along the way. Adventure vacations in Colorado: Blue Lake Ranch is a great place to stay if you want to explore Mesa Verde National Park, 30 minutes away. Guests can fish in a scenic lake on the 200-acre ranch, take walks through fragrant flower gardens and enjoy scenic mountain views. 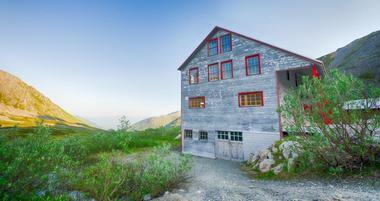 Blue Lake Ranch is a beautiful getaway for couples and families. If you are looking for mountain activities and off-road trips, you will find them close-by. Blue Lake Ranch is about 15 minutes from Durango, Colorado. California: The stylish Basecamp Hotel in South Lake Tahoe, California is a great affordable place to stay for outdoor enthusiasts. The hotel offers several specialty rooms, such as the Great Indoors Room which has an indoor tent over the guest bed, a fun and comfortable way to "camp" through the night. The Basecamp Hotel is surrounded by scenic mountain trails and lakes. You can take a 5-minute walk to Lake Tahoe and the Heavenly Gondola. Dominican Republic: Natura Cabana is an eco-friendly beach hotel in the Dominican Republic. The hotel is set on a beautiful Caribbean beach, great for swimming and snorkeling. Explore the Caribbean island, go horseback riding and visit nearby towns for sightseeing. The hotel has a Feng Shui where you can indulge in a massage. 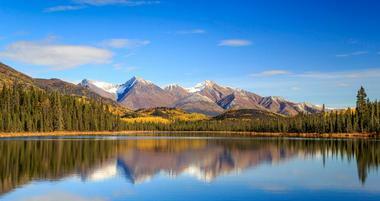 Adventure vacations in Canada: Deer Lodge is a scenic hideaway near the famous Lake Louise in Canada. 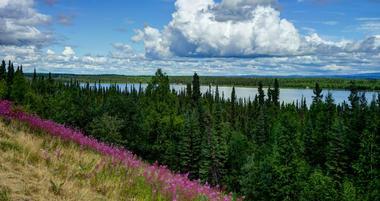 There are many scenic hikes in the area, letting you explore beautiful mountain lakes and pristine forests. Deer Lodge has a relaxing roof-top hot tub and charming mountain rooms without TVs. The dining room has views of the Victoria Glacier and serves delicious Rocky Mountain Cuisine. Buffalo Mountain Lodge in Canada is a paradise for nature lovers, offering charming guest accommodations near some of the best hiking, mountain biking and horseback riding in Banff, Alberta. In the winter, explore the cross-country ski trails in the area or go downhill skiing nearby. Hawaii: Hawaii are relaxing for parents and fun for kids. Kids can swim, hike, snorkel, or join an arts and crafts program. In the evenings, put your kids to bed and have a romantic dinner overlooking the ocean. Hawaii has an abundance of resorts that cater to families. Summer is low season in Hawaii. Although airplane ticket prices remain high this summer due to fewer flights to the islands, you can expect to find a few accommodation deals. 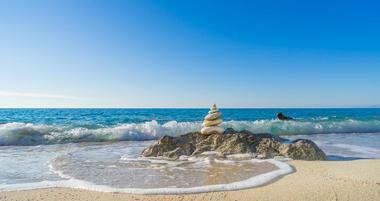 The following resorts offer programs for kids: Mauna Kea Beach Hotel, Grand Wailea Resort Hotel and Spa and Hilton Waikoloa Village. Go on an trip with Blue Hawaiian Helicopters and see the hidden spots of Maui and the Big Island of Hawaii from the air. Choose from a number of aerial tours, such as flying over an active volcano on the Big Island or a tour of scenic beaches in West Maui. If you go during the winter months, you can see humpback whales swimming near the shores of the Hawaiian islands. The company that has helped with the filming of Jurassic Park, The Lost World, Six Days and Seven Nights, Pearl Harbor and other motion pictures. In operation since 1985, the company has bases at the Kahului Heliport on Maui, the Waikoloa Heliport and Hilo International Airport on the Big Island. On Maui, the company has a large facility with a customer area, an atrium with waterfalls, and an aquarium. You can choose from a number of tours, or design your own. Prepackaged tours start at $148.25 per person. Call 808-871-8844 for reservations and more information. Surfing for Beginners in California: Surf Diva offers lessons for new and experienced surfers in a relaxed, friendly setting. 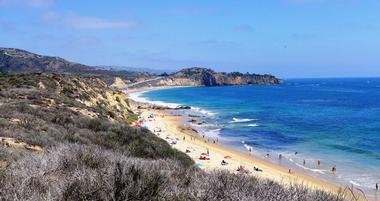 The surf school is located in beautiful La Jolla, 15 minutes from San Diego. If you have always wanted to try the sport but were intimidated, sign up for this class. Vacationers can choose from quick weekend courses, week-long surfing courses, bachelorette parties and surfing for kids. Because so many men asked to be taught at Surf Diva, the school now offers private classes for men as well. The school offers lessons for absolute beginners as well as for advanced surfers. There are 30 well-trained female instructors which include trainers, a Physical Therapist, competitive surfers, Emergency Medical Technicians and lifeguards. Surfboards are provided for use during the class. If you like the surfboard, you can purchase your own. Call 858-454-8273 for reservations and more information. The company also organizes the Las Olas Safaris for Women in Puerto Vallarta, Mexico. The adventure includes daily instruction and private massage. Visit the web site for upcoming dates. Adventure vacations in Maine - Acadia National Park: The park campgrounds are open from May to the end of September. You need to reserve a campsite in advance at most of the campgrounds by calling 207-288-3338. The park is located approximately six hours north of Boston. From Boston take I-95 north to Augusta, Maine; from Augusta take Route 3 east to Ellsworth and on to Mount Desert Island or take I-95 north to Bangor; from Bangor take Route 1A east to Ellsworth; from Ellsworth take Route 3 to Mount Desert Island. The best way to get around in any park is to walk but you can drive the 20-mile Park Loop Road and 7-mile spur road to Cadillac Mountain from mid-April to mid-November. During the winter a 2-mile section of the Park Loop Road along Ocean Drive remains open to automobiles. It is always wise to be prepared for rain with a light packable raincoat. Dude Ranch Vacations: Dude ranches in the United States and Canada offer many programs that your children can enjoy. 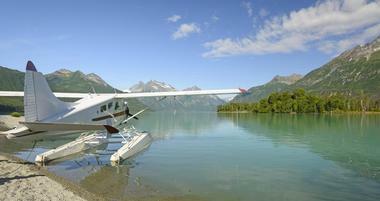 There is horseback riding, river rafting, fishing, swimming and wildlife watching. If you have time to spend a full week, your family can develop lasting relationships with other guests and property owners. In the evenings, join a cook-out while your kids roast marshmallows over a campfire. There are numerous properties to choose from based on activities and prices. You can find information about western ranches at the Dude Ranchers' Association web site at www.duderanch.org. This association only accepts ranches that pass its two year screening process. On their web site, you can look up ranches by state, read about activities and compare prices. You can order a free dude ranch directory by calling 307-587-2339. Whale Watching Adventure: Some of the best summer whale watching destinations are: Cape Cod, California Coast, Baja California and Vancouver Island. Many tour operators offer boat tours that last several hours during which you will have a chance to spot whales. Choose a boat tour that provides a whale specialist to tell you more about whales and answer your questions. National Parks: Whether you like camping or day trips, take a look at the National Park Service web site www.nps.gov to find parks near you. The web site lets you search for parks by activity interests and location. You can also browse interactive maps of all U.S. states, view photo galleries of individual parks and find detailed information about getting there. For families, it often makes sense to purchase a National Parks Pass for $50. The pass will admit you and any accompanying passengers in a private vehicle. You can call 888-GO-PARKS or order the Pass online at the National Park Service web site. Some of the most popular National Parks in the U.S. include Yellowstone and Grand Teton, both of which are wonderful for families. City Adventures: Large cities like New York City or Washington DC offer many museums, theater performances and famous sites. In New York, see a Broadway show, visit the Zoo in Central Park and tour the Natural History Museum. Teton Mountain Lodge: Located at the base of the Jackson Hole Mountain Resort, Teton Mountain Lodge is a ski destination in the winter and an outdoor adventure spot in the summer. The hotel is located in Teton Village, 11 miles from the Town of Jackson and a mile from Grand Teton National Park, Wyoming. >There are condominium suites measuring from 465 to 2,300 square feet in size. There are also 49 lodge rooms with views of the mountains. Guest accommodations are decorated in Western style, featuring gas fireplaces and whirlpool tubs in most units. The suites have hardwood floors, granite countertops and stainless steel appliances in kitchens, including dishwashers. In the winter, enjoy Alpine skiing, snowboarding, cross-country and backcountry skiing. Kid's Ranch provides activities for children year-round. If you decide to stay at the lodge in the summer, the following activities are offered nearby: hiking, backpacking, horseback riding, mountain biking, rock climbing, fly fishing, balloon rides and paragliding. Take the Aerial Tram to the top of Rendezvous Mountain for scenic views of the valley and the surrounding mountains. Grand Teton National Park, just minutes from the lodge, offers scenic mountain lakes, wildlife watching and boating. Further up north, West Thumb Geyser Basin in Yellowstone is well worth the drive. Cascade Grill House & Spirits at the lodge serves New Western cuisine. The hotel is 22 miles from the Jackson Hole Airport (about 45 minutes by car). Doubles start at $239 per night during the ski season; from $329 in the summer. 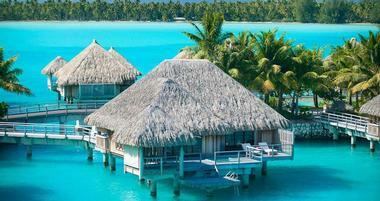 Read more Check for vacation packages and deals to save.